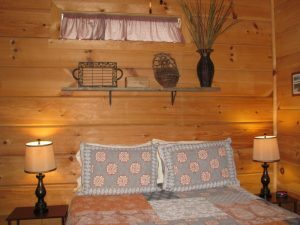 Click on the Book button, enter your arrival and departure date with number of cabins needed and number of guests, then follow the prompts. 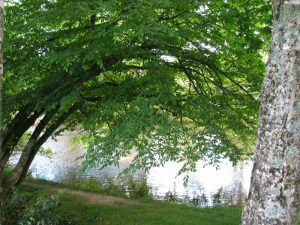 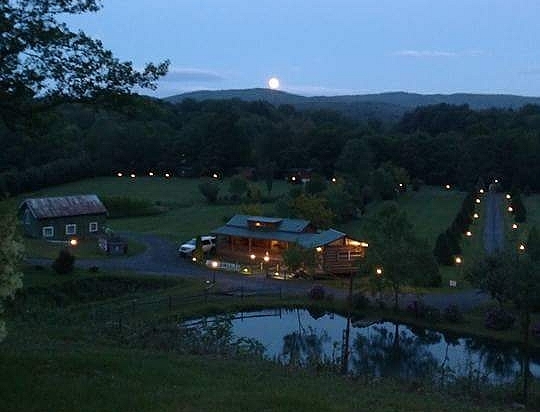 Looking for that perfect romantic setting? 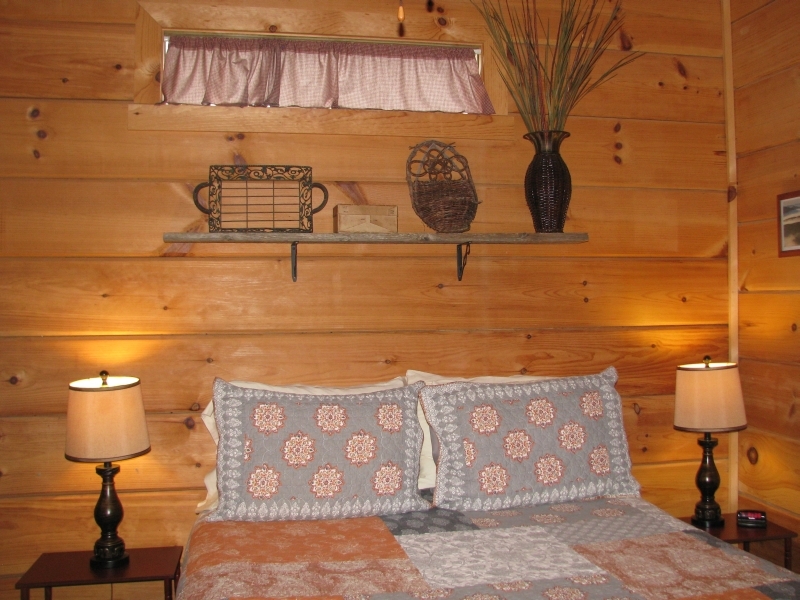 Couples say our cabins are great! 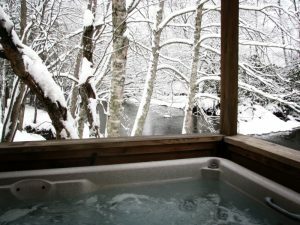 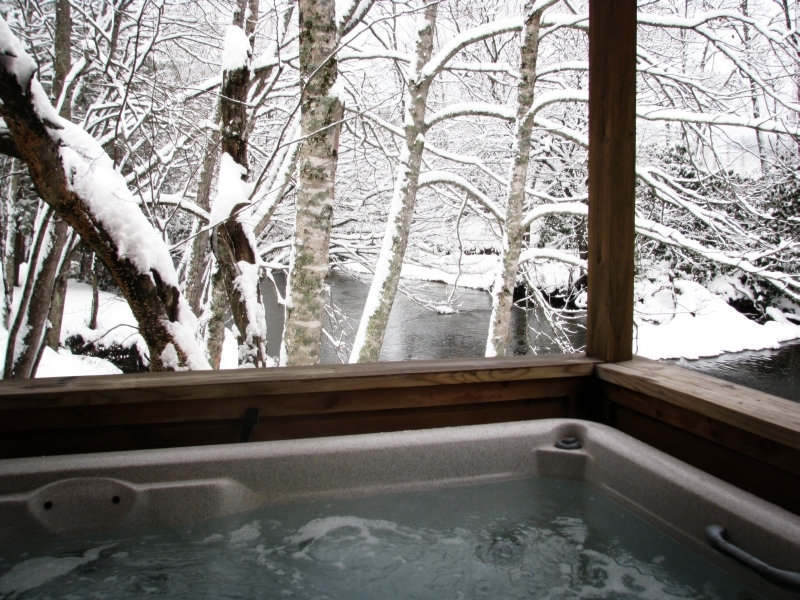 Cozy fireplaces and private hot tubs get things started. 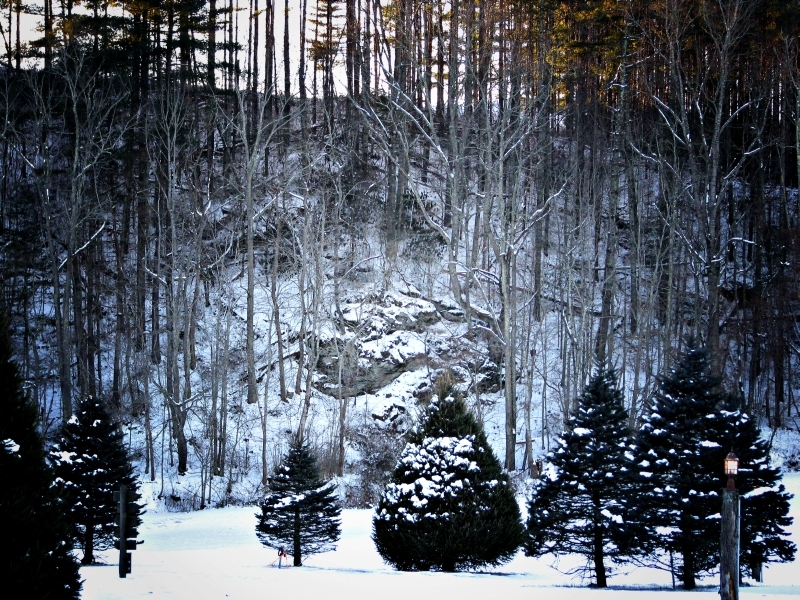 The rest just falls into place. 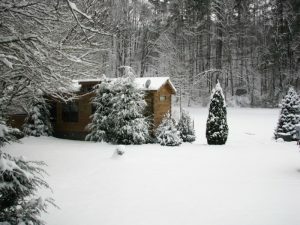 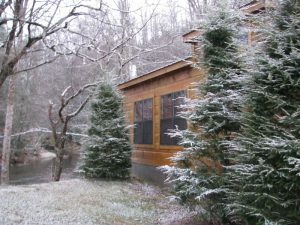 Pet friendly cabins for rent near Linville Falls and Grandfather Mountain. 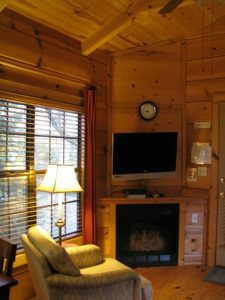 Description: Our Linville River Log Cabins are located only minutes from Linville Falls, Linville Gorge, Grandfather Mountain, Linville Caverns, Sugar Mountain, Banner Elk, Beech Mountain and the Blue Ridge Parkway. 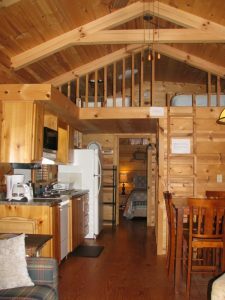 “Log” cabins with hot tubs. 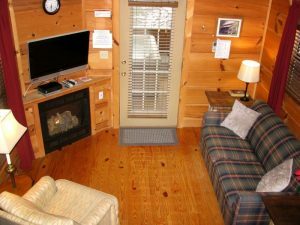 iPod radio cradles with recharge. 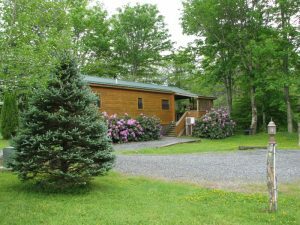 Riverside, heat and AC, although air conditioning is rarely needed since nowhere in Avery County is the elevation below 3,000 feet. 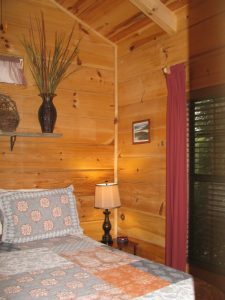 Have you ever enjoyed a night’s sleep with the windows open, cool mountain air, listening to the sound of a rambling river? 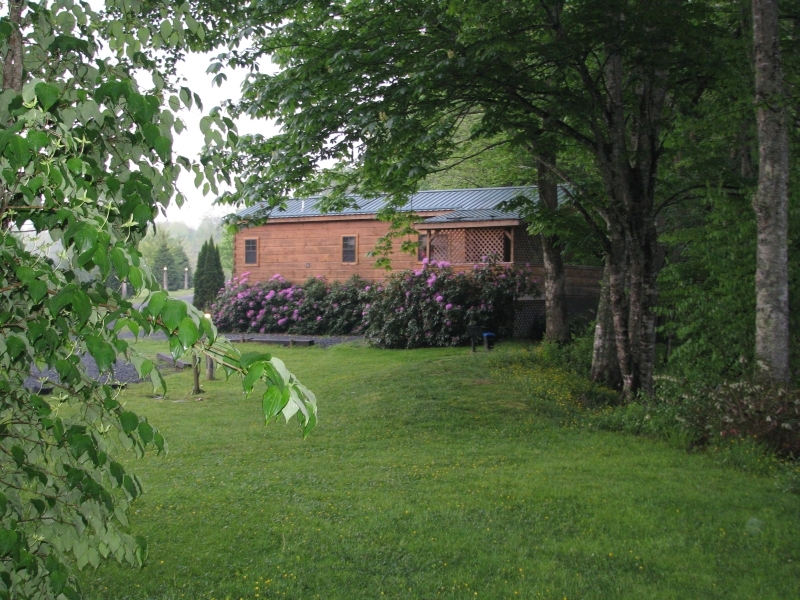 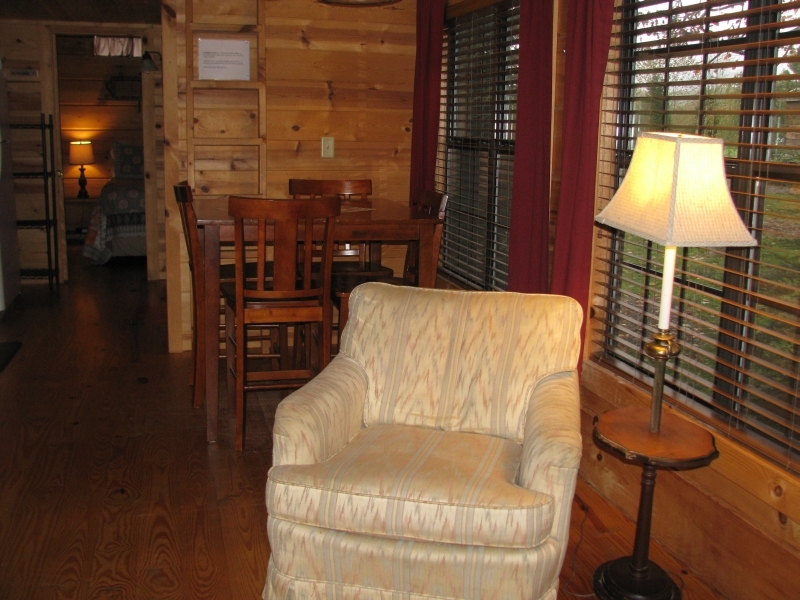 Fully equipped kitchen, large covered deck, cozy fireplace, and charcoal grill (Heavy-duty cast iron). 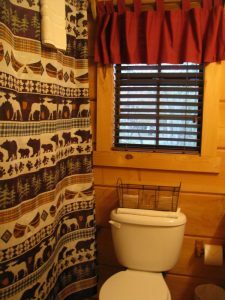 Not willing to be too rustic? Enjoy your 32-inch flat screen satellite television with 120 channels and iPod radio cradle and recharge! One-mile+ walking path around the perimeter of the property (mowed during summer months), 1/4 mile+ of private river access to the Linville River (stocked with trout). 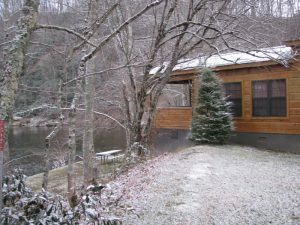 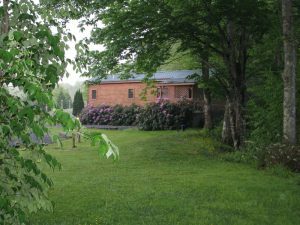 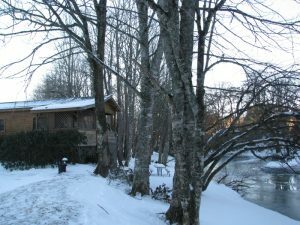 The Linville Cabin Rentals at Linville River Log Cabins are situated in one of the most beautiful regions of the High Country, along the Linville River. When you stay in our Western NC Cabins you will be minutes from Western NC Attractions like the NC Blue Ridge Parkway, fantastic spots to enjoy Fly Fishing in NC, White Water Rafting in NC, Horseback Riding in NC Mountains, NC Mountain Golf, and so much more. 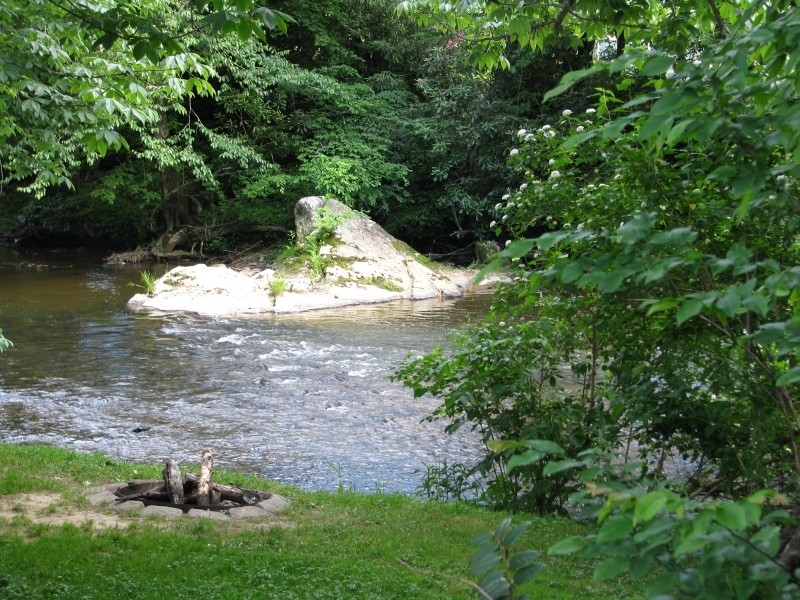 Year round, this mountain paradise offers endless opportunities for outdoor recreation and getting away from it all. 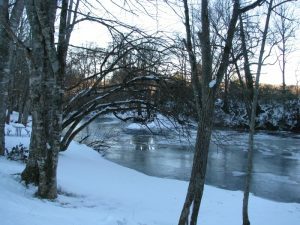 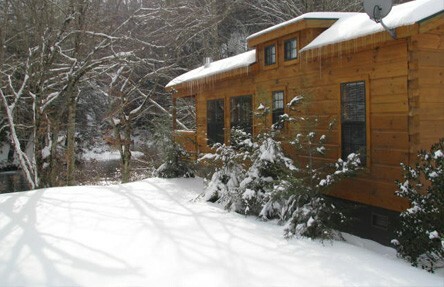 Visit nearby attractions, such as the Linville Falls (5 miles), Jonas Ridge Snow Tubing (5 miles), Grandfather Mountain (15 miles), Sugar Mountain Ski Resort (15 miles), Hawksnest Snow Tubing (19 miles), Ski Beech Ski Resort (22 miles), and Boone, NC (25 miles) are all a short drive from our rustic rental log cabins. The Mobile gas station is one mile south of the property has limited bait and fishing items. 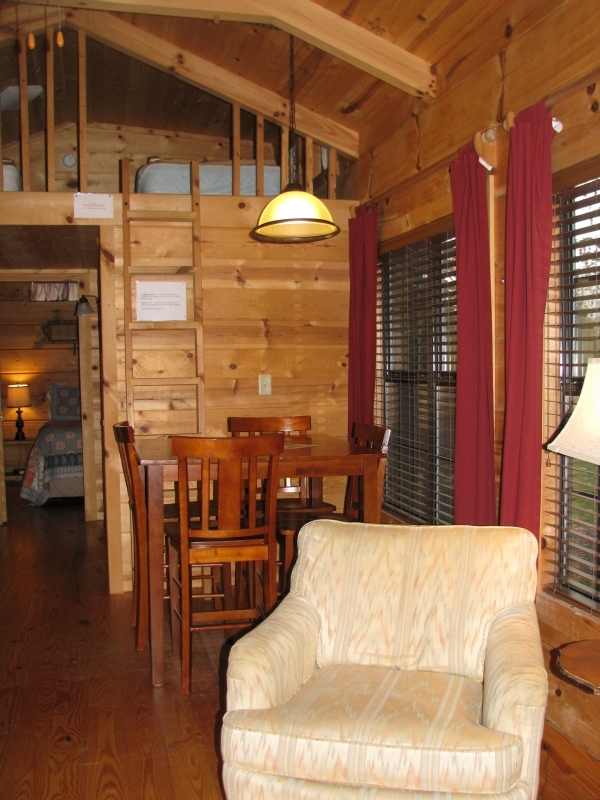 The sleeping configuration includes a queen-sized bed in the bedroom and also has a full-sized futon sofa bed. All mattresses are Sertas. 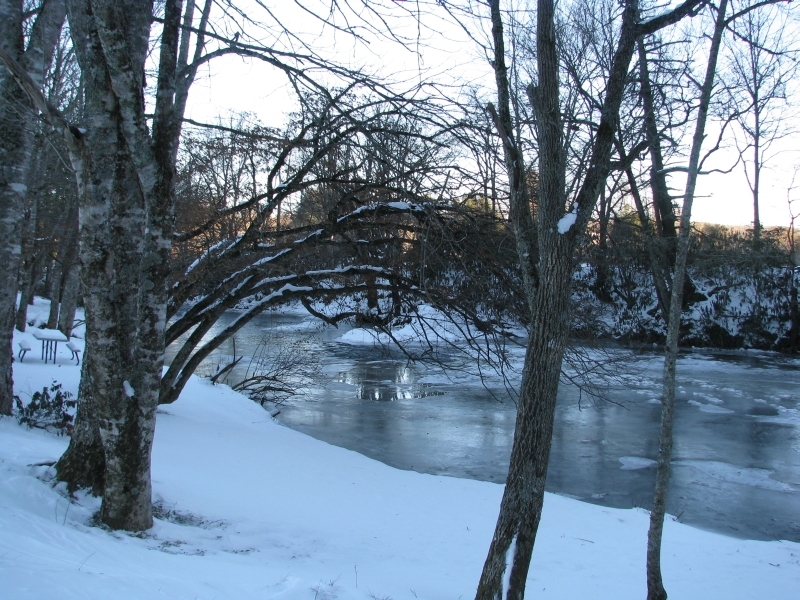 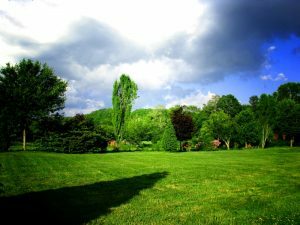 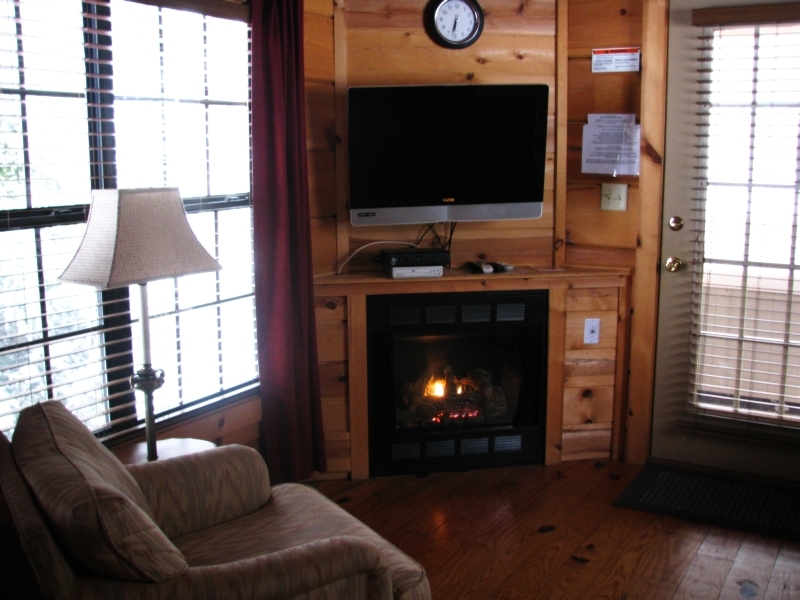 We happily provide Linville NC Lodging during all the popular times for visiting the mountains. 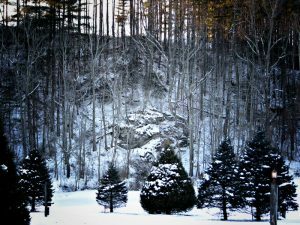 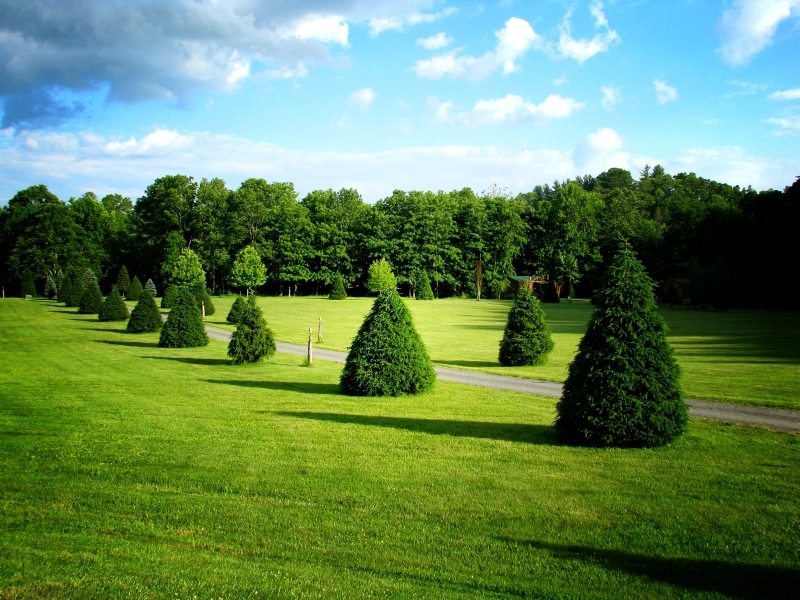 Come up and stay in our Linville Cabin Rentals in the fall and find a Christmas tree in the High Country, which is known for being the Christmas Tree Capital of the World. Enjoy the cool breezes and mountain temperatures in the summer and come up during the ever popular Grandfather Mountain Highland Games NC, or visit in autumn for the Autumn at Oz Beech Mountain festival and see the beautiful leaves. 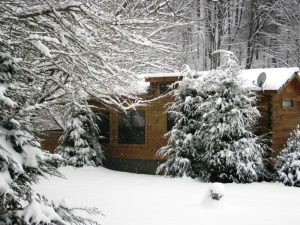 We are open year round. 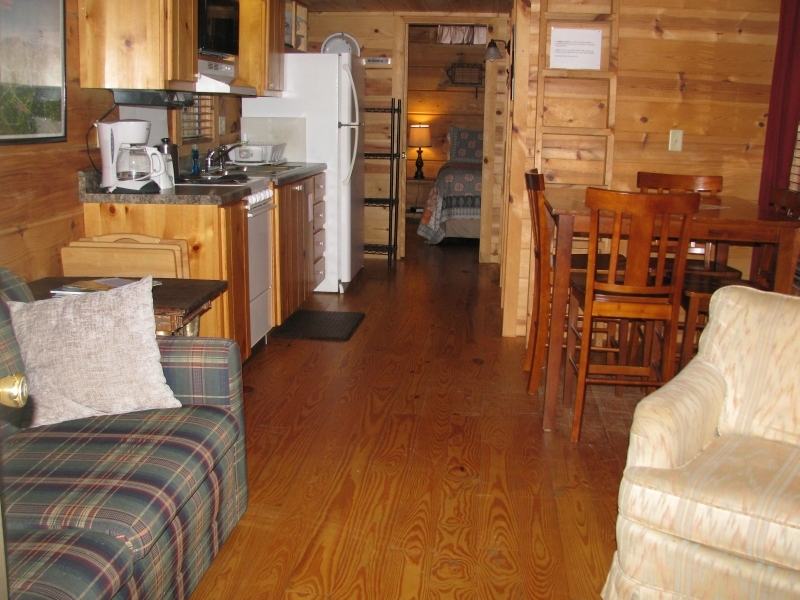 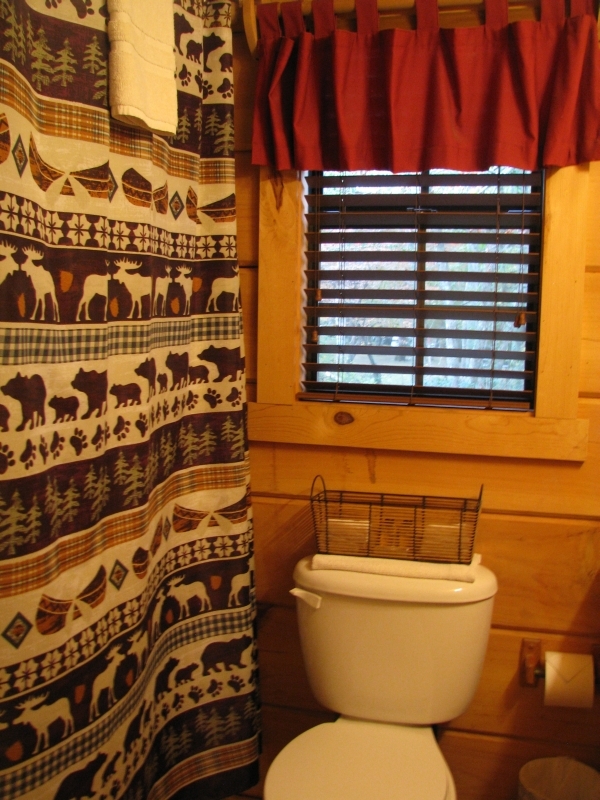 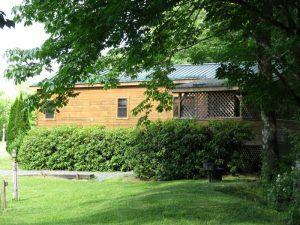 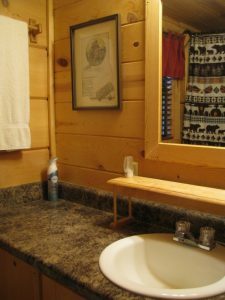 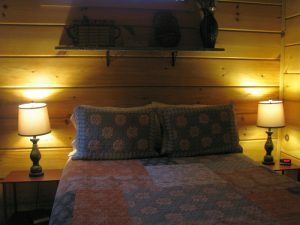 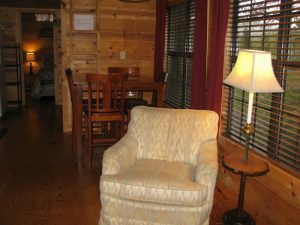 This Linville NC Log Cabin Rental, Off The Map, accommodates 2 people very comfortably, and 4 cozily. 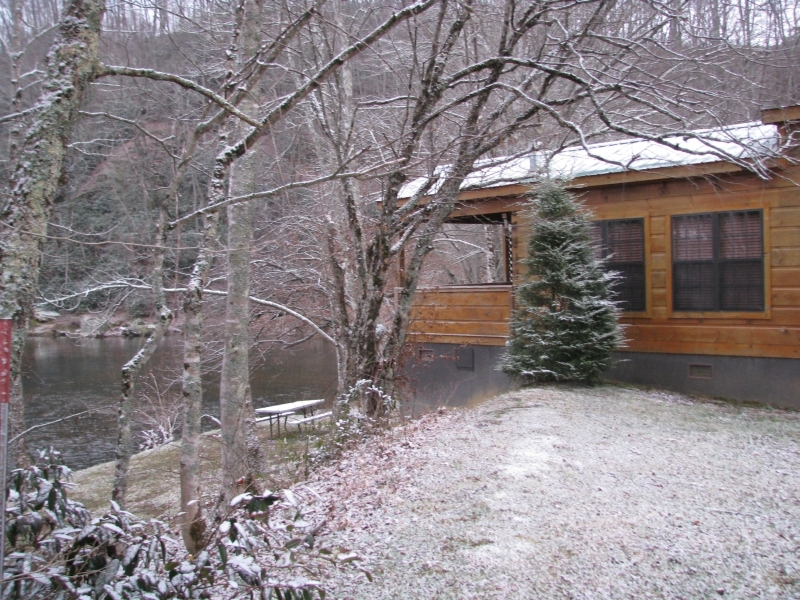 If this particular NC Mountain Cabin Vacation Rental is not available during the time in which you plan to visit then check out the other Linville Cabin Rentals at Linville River Log Cabins; all of our Vacation Cabin Rentals in Western NC are situated along the Linville River are similar in layout and amenities. Seasonal rates and minimums apply.